At Allen Samuels CDJR Aransas Pass, we know that you need a four wheel drive vehicle for many reasons. We maintain our inventory to provide for your needs. You need look no further than our Aransas Pass dealership. 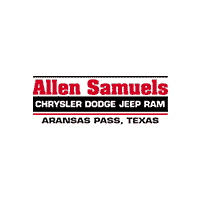 You can rely on Allen Samuels CDJR Aransas Pass!